Yogurt may very well be the healthiest food on the planet. When addressing yogurt’s health benefits, however, a few points must be kept in mind. Yogurt used to prove its health benefits in medical trials is natural with live active bacteria, absent of sugars, artificial sweeteners, thickeners, colorants or preservatives. And according to the National Dairy Council website, a more recent trend is to consume yogurt with whole milk for its added health benefits of conjugated linoleic acid (CLA) found in the fat. Yogurt, as well as milk, has a perfect balance of proteins, carbohydrates and fats. Yogurt more than holds its own in the nutritional spectrum of foods. It is not a carbohydrate, although it is plentiful in the sugar lactose; it is not strictly a protein but is protein-rich with up to 22 g per cup; and it is not a pure fat, yet it is abundant in healthy fatty acids. While the high amounts of probiotic bacteria in yogurt adds the extra nutrient that make yogurt the healing super food it is becoming praised for, according to Natasha Trenev, author of "Probiotics: Nature's Internal Healers." Conjugated linoleic acid (CLA), a type of essential fatty acid found almost exclusively in the fat of dairy products, can be obtained only through the diet because it is not produced by the human body. CLA has been shown to be a powerful natural anti-carcinogen that also can reduce the risk for cardiovascular disease, help fight inflammation, reduce body fat--especially abdominal fat--lower cholesterol and triglycerides, increase metabolism, lower insulin resistance and enhance the immune system. These microorganisms not only assist in the production of vitamin K and vitamin B12, but they also make sure calcium is efficiently absorbed into the bloodstream so it can be carried into the bones. Dr. K.P. Reddy and his team at the Department of Food Science and Technology University of Nebraska recommend adding yogurt to your diet if you are deficient in any of these nutrients, because without certain types of probiotic bacteria, some of which are present in yogurt, the body becomes inefficient in the making and absorption of some essential micronutrients. 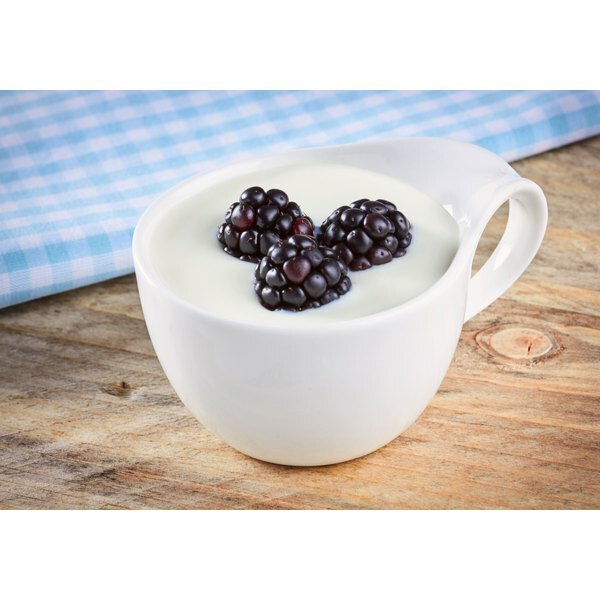 The lactic acid bacteria present in yogurt create a number of byproducts during the fermentation process, namely lactic acid and short chain fatty acids (SCFA), that contribute to an acidic environment in the colon. This is necessary for the proper assimilation of calcium in the body. It’s part of a chain reaction. Milk is turned into yogurt, which creates an acidic environment, which in turn makes calcium better absorbed in the blood and into the bones. Ana Luque is the author of "The Yogurt Diet." She is also a holistic health practitioner and master wellness coach. Her articles have appeared on The Well Being Journal, Arthritis Today, La Opinion, and Living Without Allergies. Luque is also the nutrition expert on the award-winning Dr. Pat Radio Show. Are Probiotics the Next Big Thing in Skin Care?